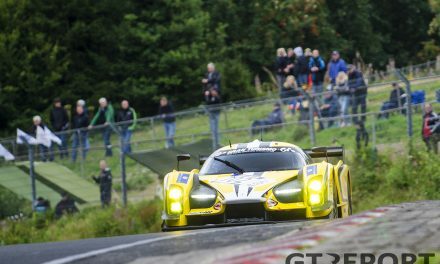 One month after crashing out of the lead in the 24 hours of the Nürburgring, Frikadelli Racing avenged the accident with a win in the third race of the VLN season. In what started out with some hope for an exciting battle for the win, soon became a tame race to the finish. Not so much behind the Frikadelli car, though, as the Porsche Cup cars fought hard to steal the show—and the remaining steps on the podium. When qualifying came around early Saturday morning, the rain was still coming down but slowly receded. As teams scrambled to get that final lap on a drying track in, it was unsurprisingly the Porsche 997 GT3R of Frikadelli Racing that put down the fastest lap to take pole position. 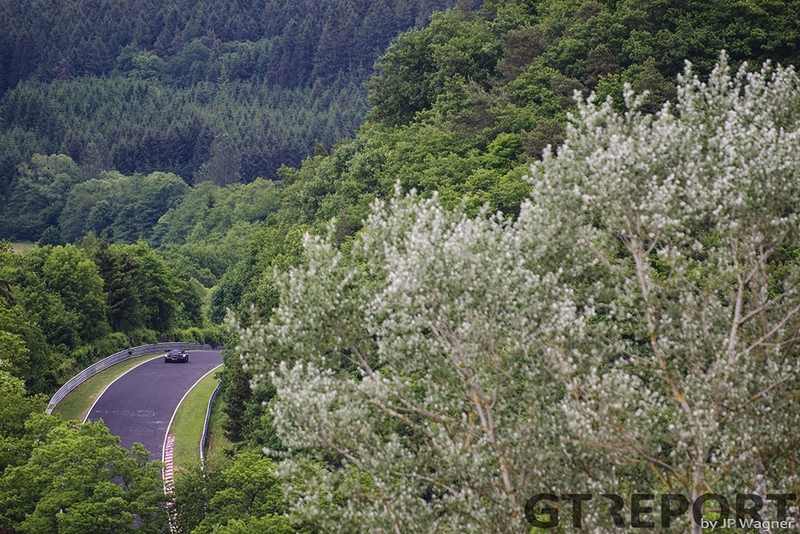 On the heels of the Barweiler squad, however, came an usual suspect: the Wochenspiegel Team Manthey Porsche 911 GT3 RSR barely missed the top of the charts. What was supposed to be easy pickings for Frikadelli, might today actually go the way of the Wochenspiegel Porsche. 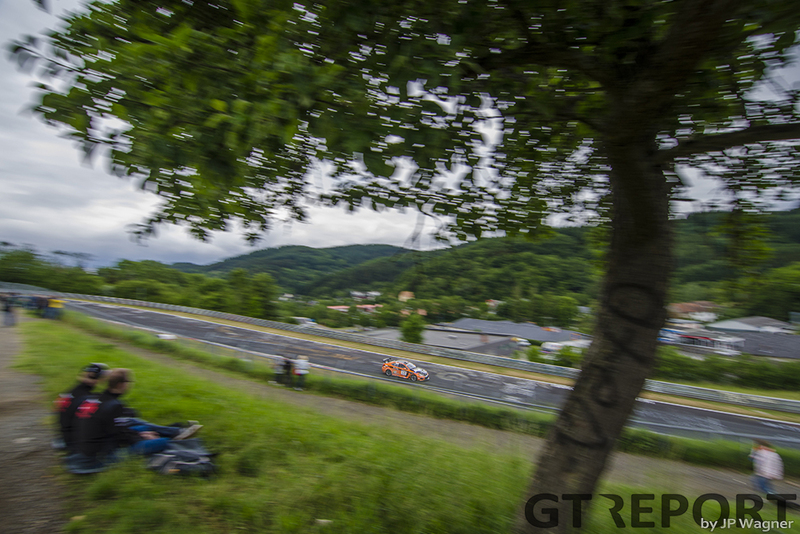 Lights out: Sabine Schmitz takes off with Oliver Kainz right on her heels her for the opening lap, leaving the rest of the field far behind. Not for one moment does the Wochenspiegel Porsche let the Frikadelli Porsche out of its sight. 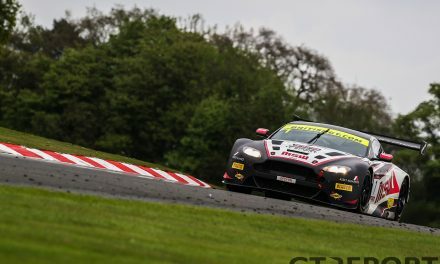 As the end of the second lap closes in, Kainz places a well-timed attack on his compatriot, succeeding in taking over the lead but never building a gap over Schmitz in the Frikadelli GT3R. 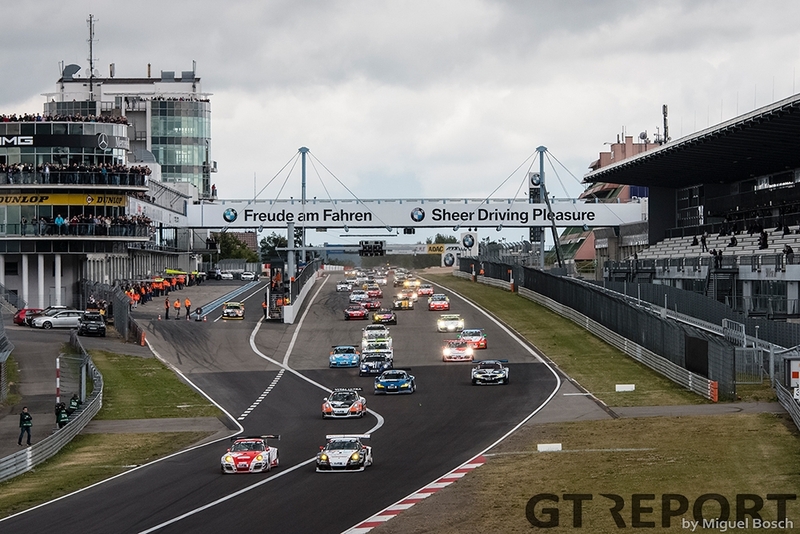 Disaster strikes just a couple of laps later: the Wochenspiegel Porsche is hit by a BMW 235i Cup car, sending Kainz into a spin and into the wall at the entrance to the Grand Prix course, sustaining race ending damage. 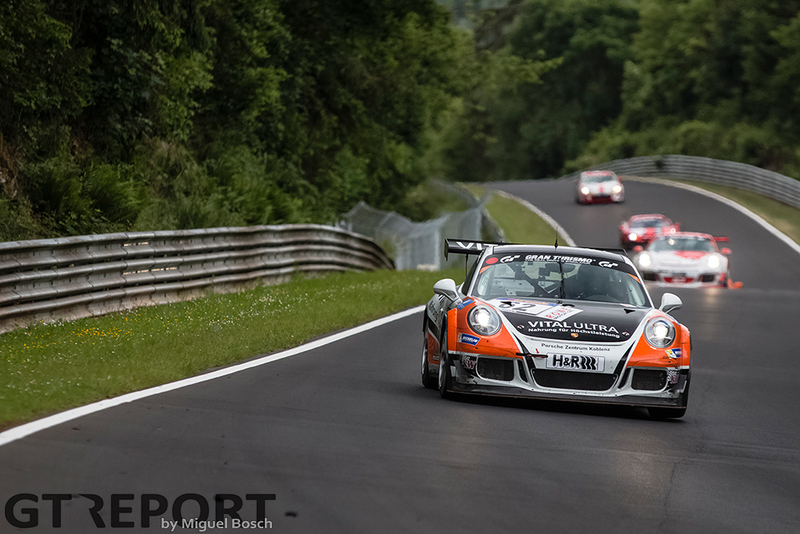 With Wochenspiegel Team Manthey out of the race, Frikadelli can cruise it home. 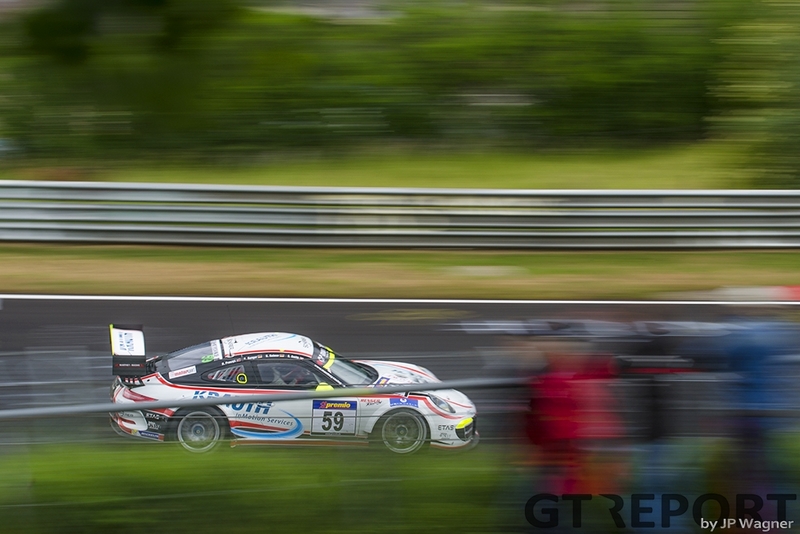 Not for one moment are the small Porsche Carrera Cup cars a serious threat to the big GT3R. Even a fire during the last pit stop can’t keep the Frikadelli Porsche from taking the win after 27 laps in the four hour race, although the burning car does cause a scare and possibly a very costly repair. “During the refuelling some oil caught fire on the engine,” says driver-owner Klaus Abbelen. “This was annoying, as during my last stint the car lost power, possibly because of the powder from the fire extinguisher. Those looking for an intense on-track battle were well served in the fight over the remaining two steps on the podium. 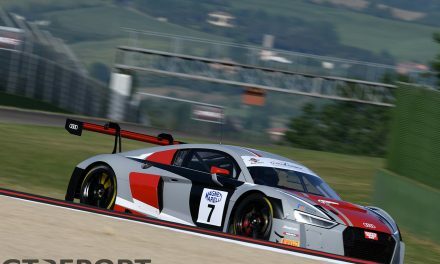 The small Cup cars have proven time and time again that under the right circumstances, the nimble cupfighters are a match to their thoroughbred competitors and without much resistance from the GT3 and SP8 class, the Porsche Cup cars had a field day. Starting from a couple rows back, Back Falcon Porsche 911 GT3 Cup racers Gerwin Schuring and Manuel Metzger quickly rose to the top positions, bringing the fight for second place to the rival Porsche 991 GT Cup America of Frikalli Racing and its drivers Frank Kräling, Marc Gindorf and Christopher Brück. For the first ninety minutes it’s Frikadelli leading the way in the SP7 class and in second place overall, until Black Falcon goes past them for the first time today. 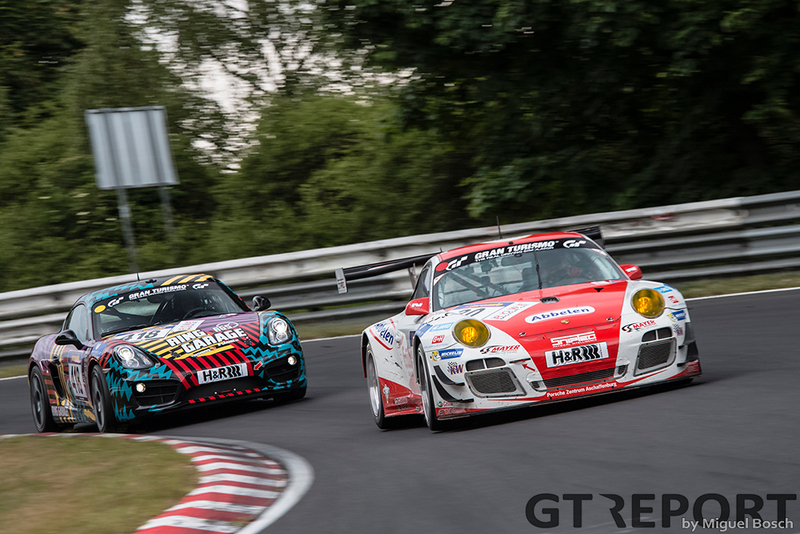 The fight over second place goes on until the last hour, with the Raceunion Teichmann Racing Porsche 911 GT3 Cup of Marc Hennerici and Christian Menzel also getting into the thick of it. It isn’t until the last round of pit stops that Black Falcon definitively brakes the Frikadelli two-car lead apart and holds on to the second position until the drop of the chequered flag. Frikadelli’s Porsche 991 GT Cup America doesn’t even make it onto the podium: the team is handed a time penalty after the race for speeding in qualifying. 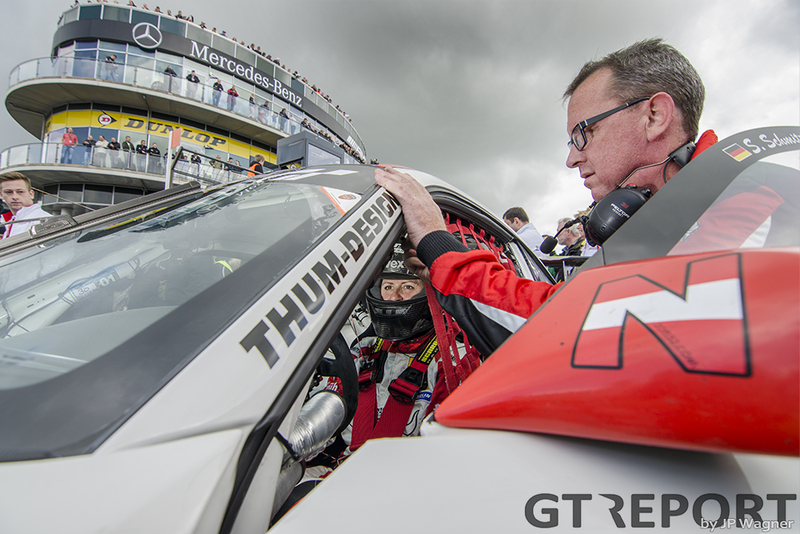 This promotes Raceunion Teichmann Racing to a well deserved podium finish, in addition to taking the win in the Carrera Cup class. 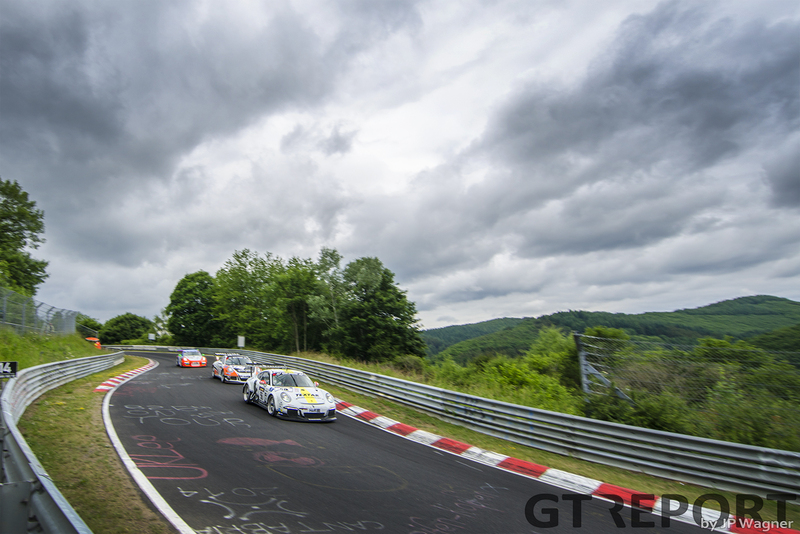 With Frikadelli Racing taking the top overall honours for the first time since August last year, Porsche takes their 200th outright win in VLN in a race that was dominated by the Stuttgart brand. This win might have been an easy one, Frikadelli still had to work hard to get to the point where they became the number one favourite before the lights went out.